Ce document au format PDF 1.3 a été généré par / Acrobat Distiller 4.05 for Sparc Solaris, et a été envoyé sur fichier-pdf.fr le 28/02/2014 à 12:13, depuis l'adresse IP 197.205.x.x. La présente page de téléchargement du fichier a été vue 817 fois. Taille du document: 703 Ko (5 pages). give approximately the same results but require different computation times. Index Terms—Electromagnetic torque, finite-element analysis, inductance coefficients, winding function. Fig. 1. Cross section of the studied SynRM. distributed winding with 36 slots. The machine dimensions details are given in Table I.
rotor and stator has infinite permeability and magnetic saturation is not considered. Fig. 4. Flux lines distribution due to the stator slot. Fig. 5. Inverse air gap function including rotor saliency and stator slots effect. Fig. 3. Flux lines distribution due to the rotor saliency. inner surface, and is the phase “a” current. displaced by 120 and 240 (electrical degrees), respectively. Fig. 6. Air-gap radial flux density in d-axis with ia = 1 A and ib = ic = 0 A. Fig. 7. Air gap radial flux density in q-axis with ia = 1 A and ib = ic = 0 A.
clearly exhibits the slot effects. Fig. 10. Flux distribution in d-axis. due to stator slots opening. Fig. 12. Flux distribution in q-axis. are the magnetic vector potential and current density. was used in the simulations . 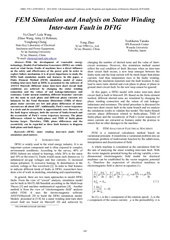 good agreement with the results obtained by the winding function method. 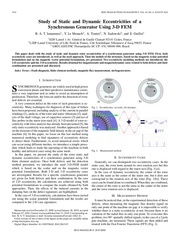 The results obtained with the FE method are shown in Fig. 14.
not taken into account in winding function analysis. method can also be used for motor drive simulations. 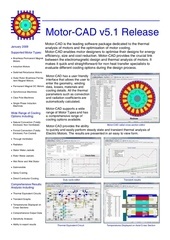 inductance profiles and the electromagnetic torque with a resolution of 1/10 within 1 min. the flux density along the contour. using FEM and Preisach modeling,” IEEE Trans. Magn., vol. 39, no. 5, pp. 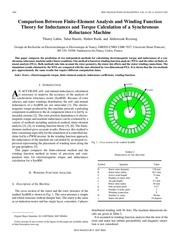 3271–3273, Sep. 2003.
eccentricity using modified winding function theory,” IEEE Trans. Magn., vol. 40, no. 3, pp. 1550–1555, May 2004. P. Neti and S. Nandi, “Determination of effective air-gap length of reluctance synchronous motors from experimental data,” in Conf. Rec. IEEE-IAS Annu. Meeting, 2004, pp. 86–93. Machinery. Piscataway, NJ: IEEE Press, 1995. 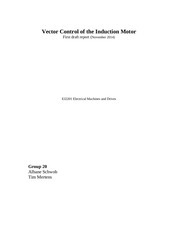 Manuscript received February 7, 2006; revised February 8, 2007. Corresponding author: T. Lubin (e-mail: thierry.lubin@green.uhp-nancy.fr). 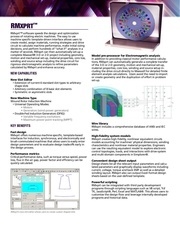 the University of Nancy, France, in 2003.
electrical machine, modeling and control. Tahar Hamiti was born in Tizi-Ouzou, Algeria, in 1979. He received the M.Sc. toward the Ph.D degree. His research interests include reluctance machine, modeling and control. Hubert Razik (M’98–SM’03) received the Ph.D. degree in electrical engineering from the Polytechnic Institute of Lorraine, Nancy, France, in 1991.
of research include the modeling, control, and condition monitoring of multiphase induction motor. subjects of research concern electrical machines, their identification, diagnostics and control, and superconducting applications. Ce fichier a été mis en ligne par un utilisateur du site. Identifiant unique du document: 00226095.